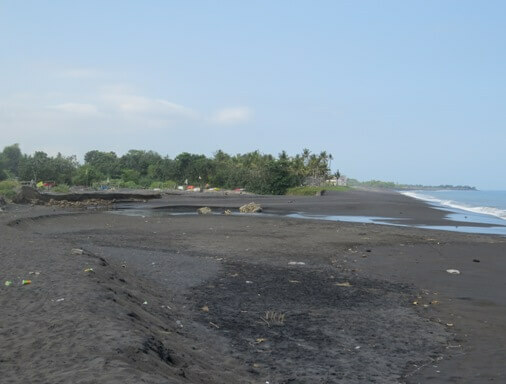 Tegal Besar Beach is a lovely black sandy beach, tucked away between the Siyut Beach (west) and Lepang Beach (east). This beach offers scenic views, rice fields, lush green vegetation, glittering sea, strong waves and vibrant sunsets. 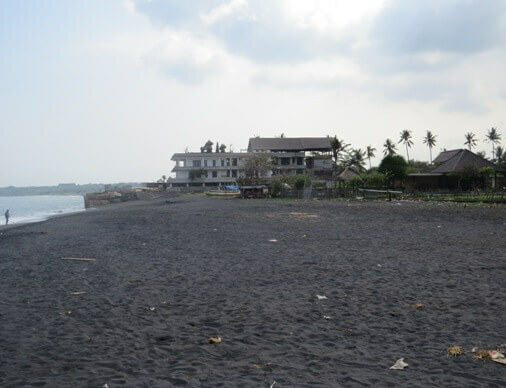 The beach is situated in Banjar Tegal Besar, Negari Village, Banjarangkan District, Klungkung Regency, Bali. 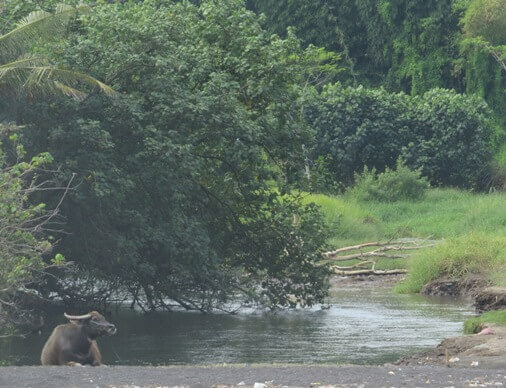 This spot is easily accessible by car, about an hour from Ngurah Rai International Airport (37 km). From the airport, head east until you hit the Jl. Prof. Dr. Ida Bagus Mantra and then take the Jl. 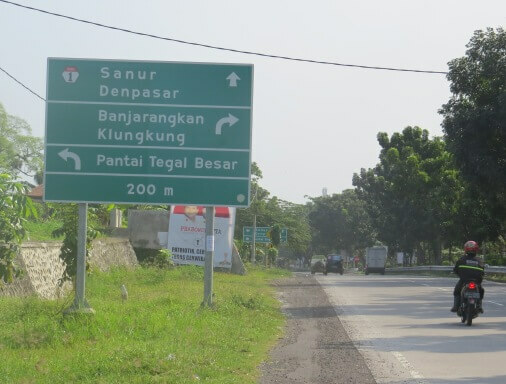 Pantai Tegal Besar in Negari Village. This beach is situated about 650 meters (2 minutes) from the main road. This spot has its own uniqueness. The beach is one of the places where Olive Ridley turtles (Penyu Lekang/Lepidochelys olivacea) lay their eggs during the nesting season. Local communities have been working with ProFauna and BKSDA-Bali, to protect the sea turtle. The egg will be relocated to the hatchery. After hatching, the hatchlings will be released back to the sea. In addition to turtles, locals also conducted efforts to protect the Kokokan birds (paddy-field Kuntul). Local people impose a hunting ban on the bird. This area is their natural habitat. The bird is also nestled on big trees around the locals house. There are several traditional boats moored on the beach. Balinese usually held the Melasti ceremony here. They bring sacred objects from the temple to be purified, such as: pratima, arca, tumbak, kober, lelontek, and more. The beach has been suffered from abrasion in recent years and eroded lands owned by residents around the coast. Visitors can enjoy the natural beauty, the fresh air and the calm atmosphere away from the hectic life. In addition, you can also observe the Kokokan birds and participate in the activity of releasing the hatchlings to the sea. The waves here are big and strong, visitors are not suggested to soaking and swimming.